The Platypire Diversity challenge won't be offered next year, so the Celebrity Readers page is now hosting a similar challenge. I plan to complete all 12 monthly themes and try to read as many LGBTQ+ books for the summer as possible. There’s sort of an extra level to the LGBT+ pride summer in June and July — aim to check off as many letters in LGBTQQIA (lesbian, gay, bisexual, transgender, queer, questioning, intersex and asexual) as possible! I just finished my last book of this year and am excited to begin again next year, which as you know, starts tomorrow. Can't believe it's almost here! I want to do this one again, even though I've already signed up for the nonfiction bingo challenge. 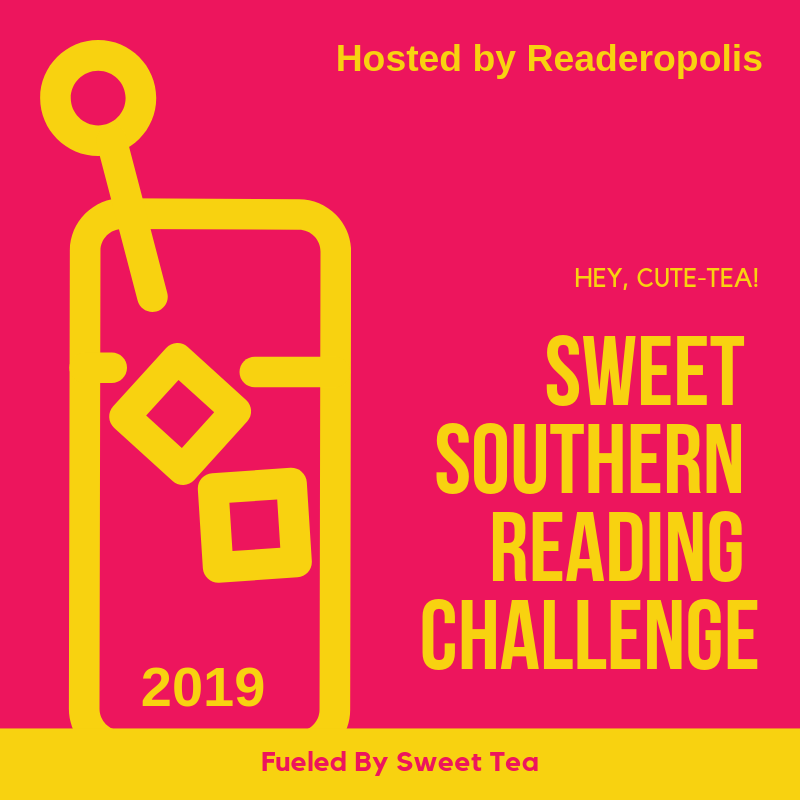 I know this is a little late to announce a challenge, but I will be hosting a nonfiction reading challenge in 2019. 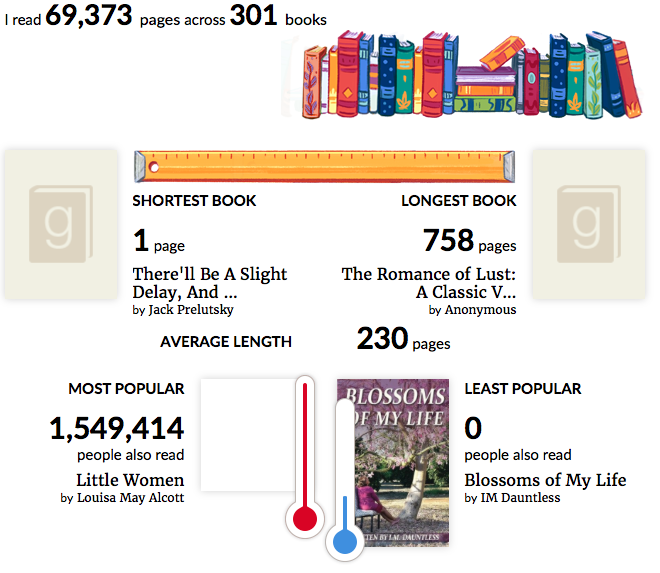 I mostly want to provide a place for you to share your nonfiction goals and to chat with other nonfiction readers. To make that possible, we’ll have three twitter chats throughout the year, plus optional email reminders. Goals will be flexible and up to you. Sign-ups will be open through January 30th. 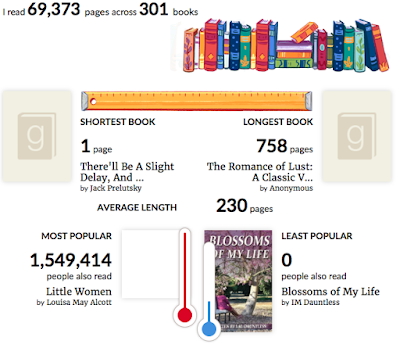 Rather than suggest particular levels for this challenge, I’ve got a couple of ideas for different nonfiction reading goals you could set for yourself. Let me know if there are other types of goals you’d suggest and I’ll add them to the list. Once again I'll be doing this one, level 3b. Another I could not resist. A lot of the categories are right in my league. 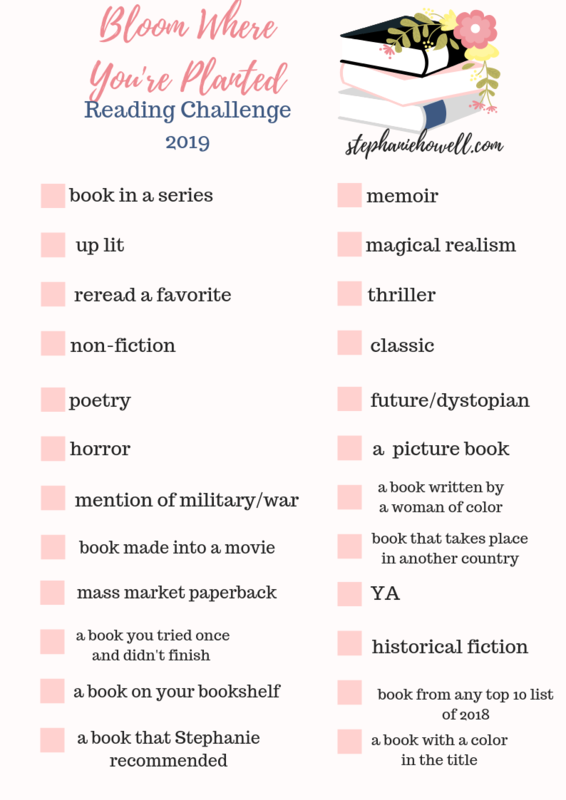 I read a lot of YA, so I may get more than one for this list. I well agree with what is being said. 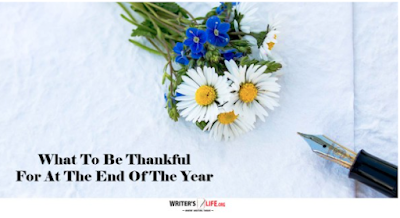 I fell I have accomplished a lot, thanks to finding a writer's lab group in my town. Meeting other writers and receiving input and feedback from them on my work and me giving it to them on theirs has been helpful and productive and I'm glad to have the group for this reason. As I await the end of this year, I also await the results of the Blydyn Square Books Publishing Contest this coming Monday, December 31. I entered my memoir just before the September deadline by email and am now counting down the days till the winner is announced. I'm glad to announce I will once again be teaching my creative writing class at work on alternate Mondays. I started the class in 2016 when I first began working as a peer mentor. Unfortunately, it was scheduled late in the day when most clients tend to leave for the day, so the class was cancelled at the beginning of 2017. I will be alternating Mondays with another mentor's class, which will keep both of us from having to come up with lesson for each week. I'm also glad to hear that the county library will now be open on Sundays starting in January. This will be something to do then. Hope everyone today has a great Christmas and for those who don't celebrate, have a happy holiday season. Over the last month, I've been seeing images on Facebook of old Christmas catalog covers. This definitely brought back memories for me. I remember the ones from JCPenney the most. Every year, the catalog would arrive in the mail around September and I would peruse the toy section, wanting some of the new and hot toys of the year. I eventually got some of the ones I'd wanted, if not every single one. I would do this every year till I outgrew playing with toys. Here is a similar post I made in December 2010. I chose this image since Strawberry Shortcake (the original) was among the may toys I had as a child. Holly Hobbie was a favorite, too. And there are just too many others to mention, let alone search for an image. 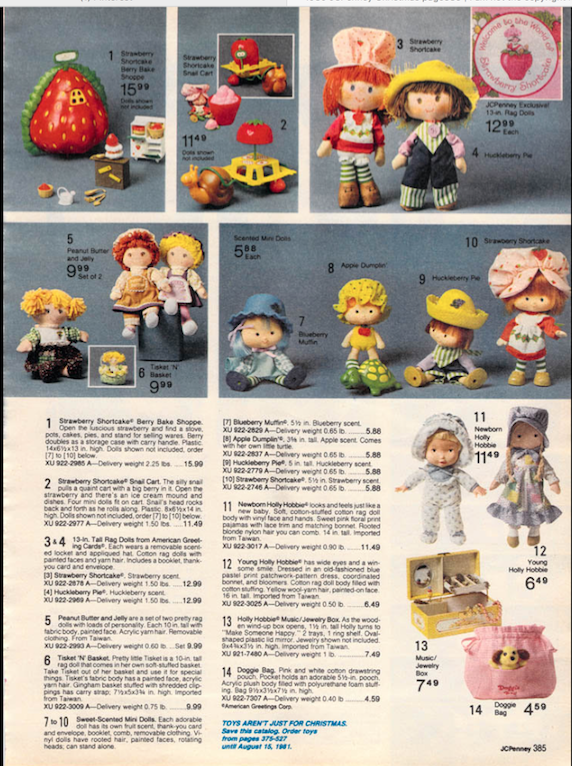 At the bottom of the page, you will see the note that toys are not just for Christmas and that any of the toys may be ordered from the catalog until sometime the following summer. And many of you will remember this Christmas phenomenon from 1983. 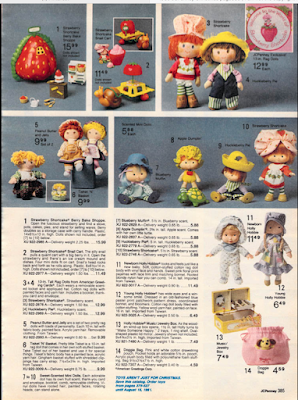 It has now been 35 years since parents were scouring stores for these dolls and most of them were unable to obtain one for their child. Amazon and the Internet in general didn't exist then, as you all know, so going to stores and ordering by catalog were the only options people had at that time. And now the Christmas toy craze of 1983 has become a miniseries on HBO. It has already been parodied numerous times on TV shows and in the movie Jingle All the Way. As I said yesterday, I began notes for the next chapter in my book sequel. The book's timeline is now December 1983, so it was time to mention Christmas. The protagonist is now 12, going on 13, so he decides he's too old for toys (and he can't have candy with braces). He sees the Cabbage Patch Kids on the news (I too, recall seeing this on the local evening news at the time), and thinks that his mom must be glad she won't have to search for one for him. I've wondered for some time now if kids still lust after hot toys each Christmas or are they more after electronic devices these days? Either way, if an item is so sought-after for the holidays, it probably sells out fast both in stores and online. 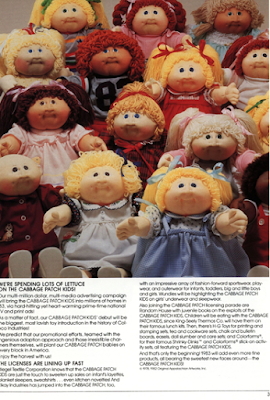 Again, online shopping was not an option during the CPK craze of 1983, so the stores must have been crowded with people pushing and shoving one another trying to find one of these elusive toys. Speaking of shopping online, I won an Amazon gift card for being the first participant to finish this reading challenge. And I won a gift card for Target in a raffle at our work party on Friday. I will likely go in store to use that one, but not till after Christmas, of course. Target's closed today, but I'm not sure how crowded it will be in the days following Christmas. 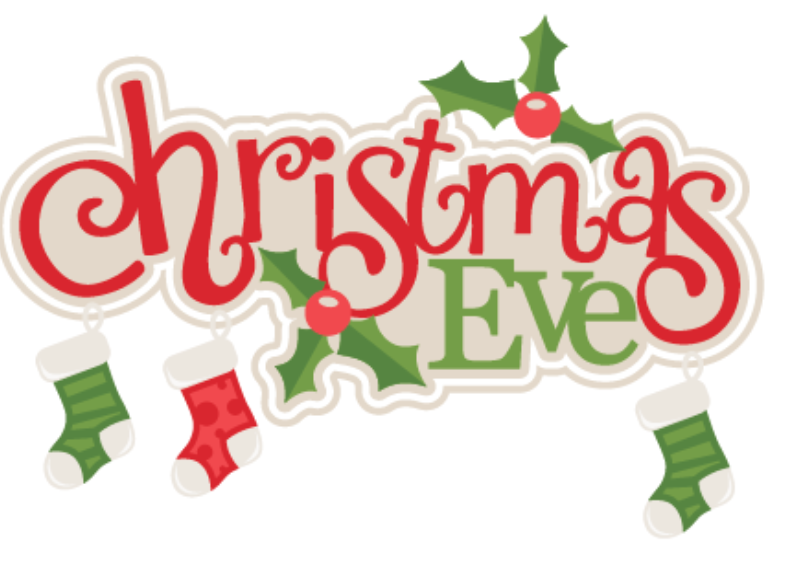 What are some memories you have of Christmas? This is at Reading in Winter. I will get as many squares as possible. Wishing everyone a Happy Christmas Eve. Not much planned for tonight, but am planning to see a movie tonight. And also last night, I began working more on my book sequel, writing longhand in bed in a notebook. I want to get working on it more. I am not a graphic designer. I know this image isn’t perfect but progress>perfection and I don’t freaking care if the text isn’t perfect. Bahaha! If you are wondering what Up Lit is, here you go. If you need help finding one of my recommendations, here is my Goodreads. 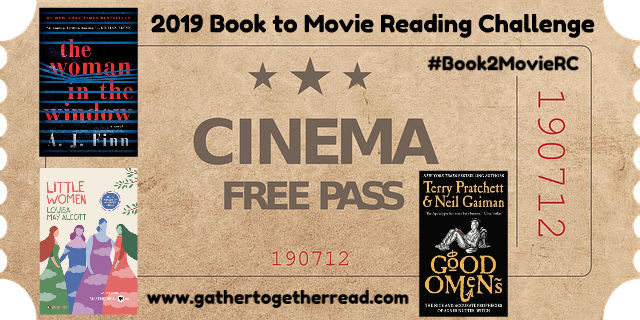 Will do this one again, getting as many books as I can. I now want to do this bingo card challenge, completing as many categories as possible. 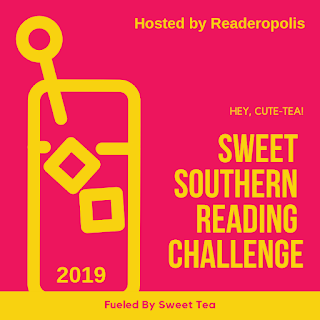 I missed there being a Southern-themed reading challenge so I was gold to see this new one at Readeropolis. I will try for the first level, getting more if time permits. Many of the monthly prompts of this one are tempting so I am in. 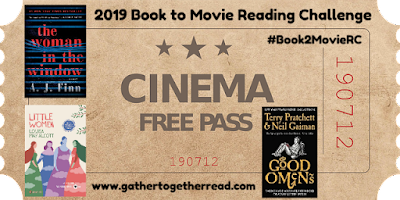 New year, new books! 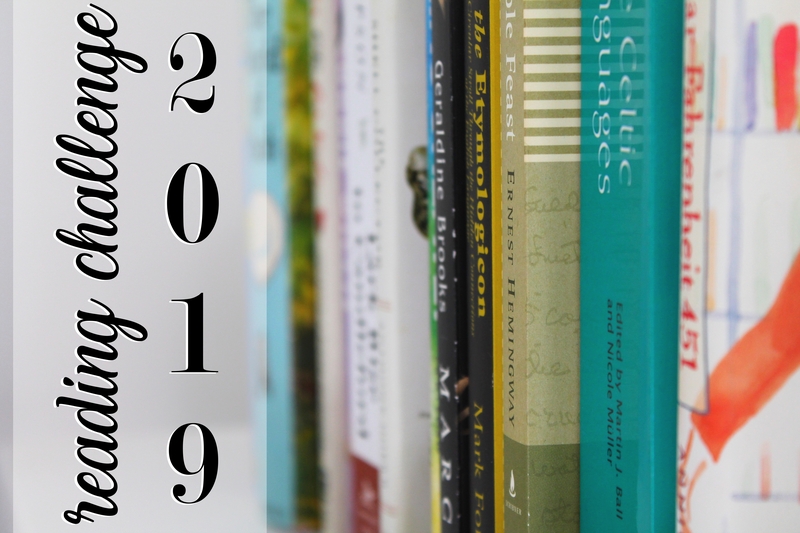 For some people, the end of the year means holiday treats, celebrations, time with family and friends — and that’s all nice, but real book nerds know that winter break is really all about putting together your dream TBR list for the coming year.If you, too, are looking for a way to organize your (endless) reading lists for 2019, consider our Reading Challenge Bingo — it’s flexible enough to work for you and your younger readers and a fun way to keep track of what you’re reading throughout the year. You can be as ambitious as you like: Complete the whole card by reading 25 books, or just complete a row or two. Your 3rd grader can tackle the challenges, your high schooler can fill out her own card, and you can take this challenge on yourself. Keep your scorecards on the fridge and plan celebrations when you hit major milestones or offer prizes for the first person to get three in a row or another accomplishment you choose. a few books that you might not have picked up otherwise. 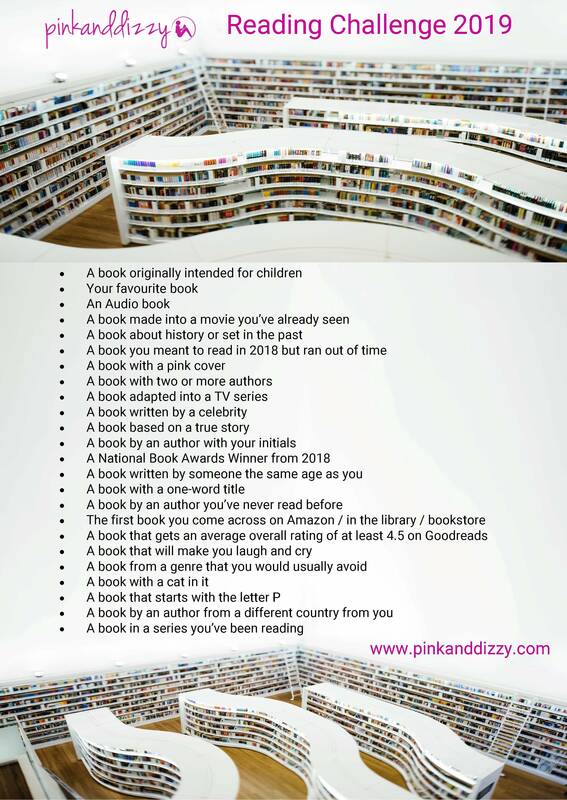 And since it involves reading, everybody wins!